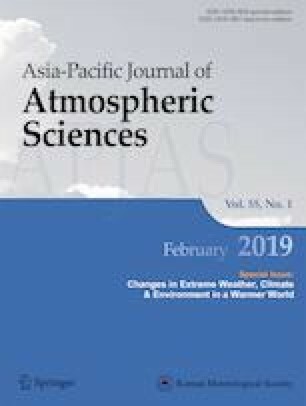 This study aims to assess time-frequency changes and trends of both monthly rainfall and SPI (standardized precipitation index) series in Taiwan using wavelet transform and Mann-Kendall test. The monthly data at Taipei, Sunmoon Lake, Kaohsiung, and Dawu stations with recorded length of 118, 73, 83, and 75 years, respectively, are used. The results of MK test reveal that insignificant positive monotonic trends for both rainfall and SPI series at west-side Taiwan (Taipei, Sunmoon Lake, and Kaohsiung stations) are observed, while both series have significant negative trends at Dawu station located at southeastern Taiwan. Wavelet analyses on the rainfall and SPI series indicate similar variation of wavelet power spectrum over time except the noticeable one-year periodicity in rainfall series and less power spectrum in SPI series. It is worth to note that the sub-decadal 36- and 96-month periodicities are common, but insignificant, at four stations for both series, although different data lengths are used. Combined with MK-test and wavelet-analysis results reveal that slightly less severe and less frequent droughts occur at Taipei and Sunmoon Lake stations, while drought frequencies probably remain unchanged at Kaohsiung and Dawu stations with slightly less severe and more severe droughts respectively occur at these two stations. This research was partly supported by the Ministry of Science and Technology, Taiwan, ROC (MOST 104-2221-E-006-174).